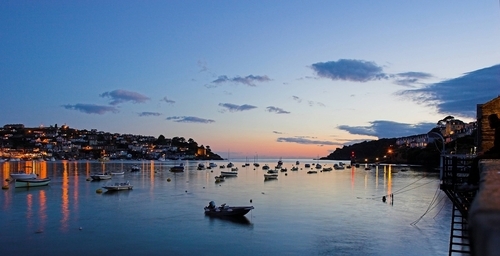 Fowey sits looking at its sister town Polruan on the other side of the estuary and in our opinion is simply the best place to stay on the South Cornwall Coast Path. A stunning historical natural harbour town at the foot of the mighty Fowey Estuary at the end of a protected 'Area of Outstanding Natural Beauty', Fowey has so much to explore and the fact that it is still working port has somewhat protected it from the usual tourist trappings that have rather overun some of the other coastal towns. It offers a fantastic variety of walking from your doorstep along with high quality restaurants, facilities and accommodation options. - Charlestown to Fowey on the South West Coast Path through Daphne du Maurier Coastline. - Fowey to Looe & Polperro on the South West Coast Path – the best section between Falmouth and Plymouth. - Inland hidden valleys from Fowey to Lerryn and Fowey to Lostwithiel (Fowey River Valley). - Helmans Tor to Fowey on the Saints Way - either Eastern or Western routes. - The Inland "Hall Walk" one of Cornwall’s finest circular walks using two small ferries en route or the Gribbin Head walk using both the Coast Path and Saints Way in a circular wander. 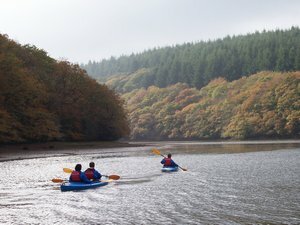 Gentle canoe trips on the River Fowey to hidden Lerryn, the passenger ferry to Mevagissey with the option to walk to the Lost Gardens of Heligan. Boat trips up the River Fowey and to Polperro, easy visits to The Eden Project and Lanhydrock Estate. 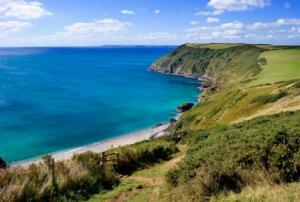 Fowey itself has access to nearby stunning unspoilt beaches and inland creeks only accessible to the walker. Accommodation in Fowey is in B&B’s, top-end boutique hotels, and several atmospheric inn’s overlooking the fascinating harbourside. Request a Quote and let us suggest an itinerary and accommodation based on Fowey.